Have you ever had one of those moments that you knew you would never forget? This past month, two of my favorite boys had such an unforgettable experience and I will never forget watching them as they enjoyed it! 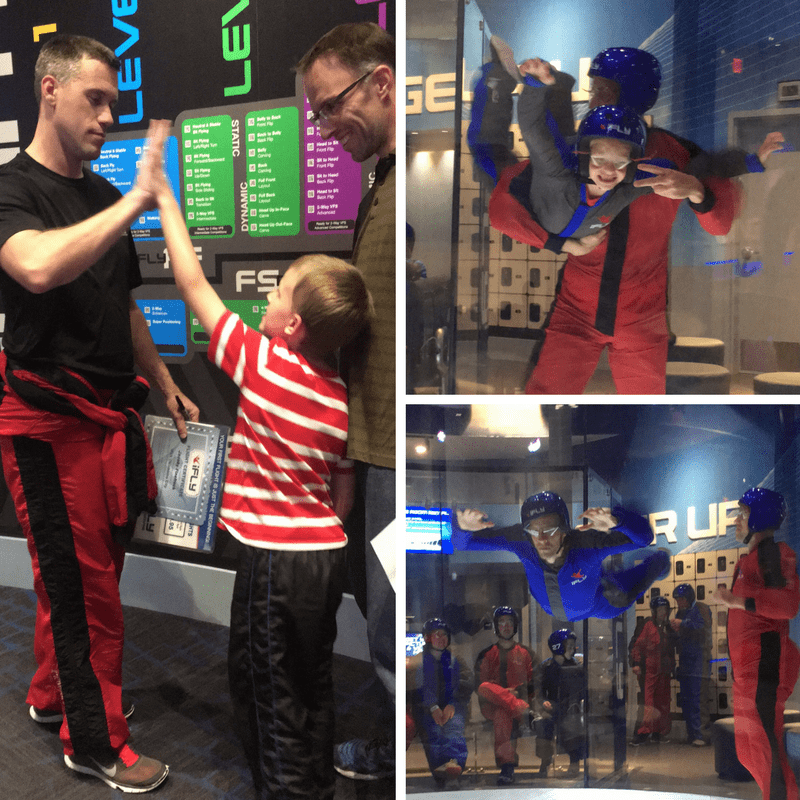 The excitement and joy built up in my son as we entered the iFly building in Oklahoma City. After checking in and being weighed, he ran around the flying chamber and wind tunnel with wide eyes wondering how he would get to fly. My husband and son read through the entire the entire "Flight Path," which has all the flying skills that can be learned and experienced over time. Instead of growing wings and feathers, they learned preflight safety techniques like how to level out their bodies by watching the hand signals from the instructor so their flying suit could catch the wind properly. Receiving preflight instructions before suiting up! Then it was time to suit up and get ready for take off. Everyone eagerly entered the flight chamber waiting area. They cheered each other on while waiting for their turn. Then when the time came for each person to fly, my son sat with a smile on his face watching each person's flight and eagerly awaiting his moment. When his moment to fly came, he hesitated. A little bit of fear seemed to overcome him, so my husband went first to show him everything would be ok. My husband had a great flight and then so did my son. Once he got up the courage and took that first step out, he realized the flight instructor was right there with him and would take good care of him. My son was so excited after his first flight that he decided he wanted to fly again but this time HIGHER! How fun is this! After the suits were taken off, the group gathered around their instructor as he passed out their flying certificates and took time to productively debrief each person so they would know how to fly better the next time they came. Overall, the experience was amazing. The instructor was fabulous and really encouraged those who felt intimidated and nervous. Each person walked out of the flight chamber a little taller and with a huge smile on their face. Ever since we went to iFly, my son has been begging to know when he will get to fly again. My husband thought it was pretty awesome as well. I can't wait for us to take our entire family flying soon! It truly was an unforgettable experience and one they would love to do over and over again. I really like that every time you go, you can build on your skill set so eventually you can be flying by yourself. For big families and those who want to purchase multiple flights, purchase bulk flights. This brings the cost of individual flights down. Saving money when having fun makes the experience extra fun! 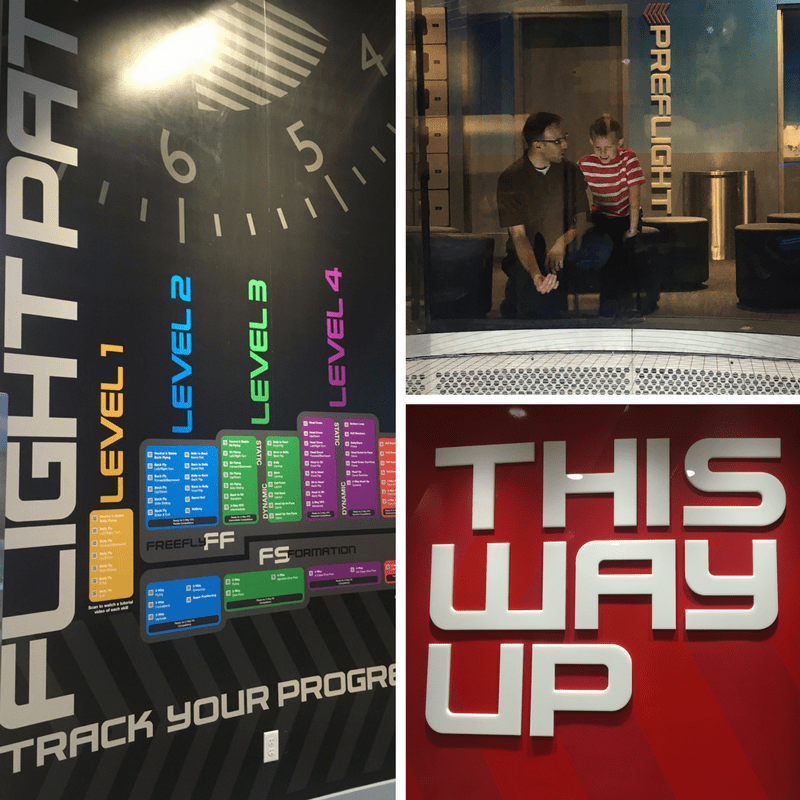 iFly has locations throughout the US and keeps track of each flight you take. So no matter where you fly, you can continue to build your skill set and experience new flying adventures! 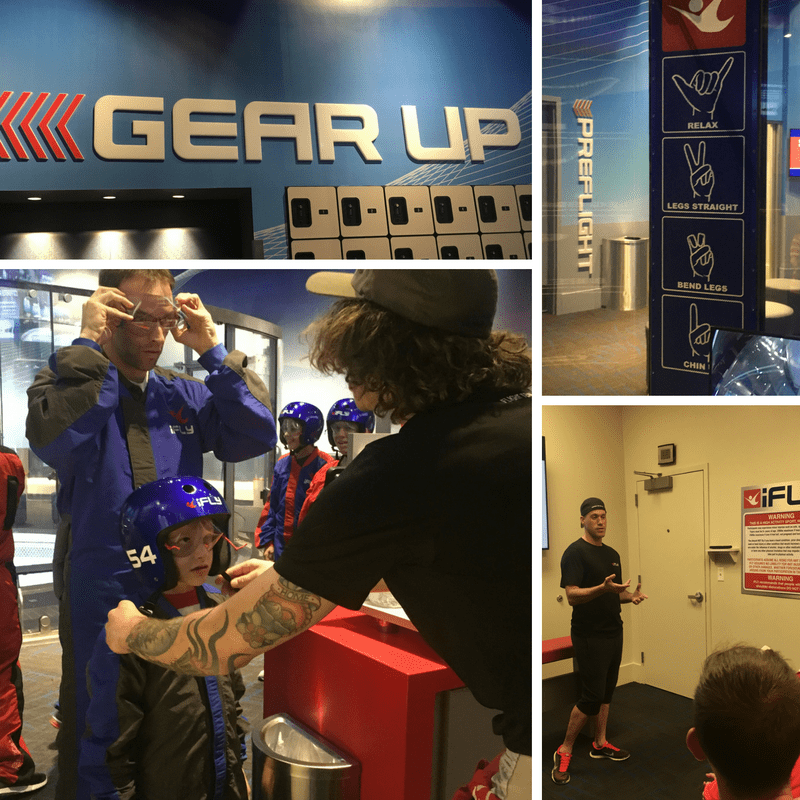 This was the perfect birthday present for my husband and son and we are thankful to USFamilyGuide.com and iFly for this fantastic experience. The verse from Isaiah that talks about flying on wings of eagles popped into mind while watching my guys fly high. As I mentioned above, my son's excitement turned to hesitation, when it was his turn. Don't many of us get that way when God personally calls us? We don't mind sitting on the sideline, cheering others on in their spiritual lives, but when we are called...Whew! We may hesitate but have to remind ourselves that God is one we can trust wholeheartedly. He will not let harm come to us spiritually. Yes, we might go through extreme physical trials. Maybe it's with our health, cancer attacks, or we can't get our bodies to work like they once did. Can we trust God on those journeys too? Will we allow him to help us fly even in our most debilitating moments? What about when relationships fall apart or lay offs happen? We must trust in the midst of physical discomforts and not lose heart. Even in the midst of persecution, God provides and will help us fly. Just like my son finally took a courageous step up and trusted that his flight instructor would take care of him, know God will take care of you too. Enjoy the flight!